Tottenham couldn't of asked for a better start after they raced into a first half lead of 3-0 against Manchester United at White Hart Lane. New signing Dean Richards was making his debut for the north London club and made it a start to remember by scoring the opening goal with a close range header. 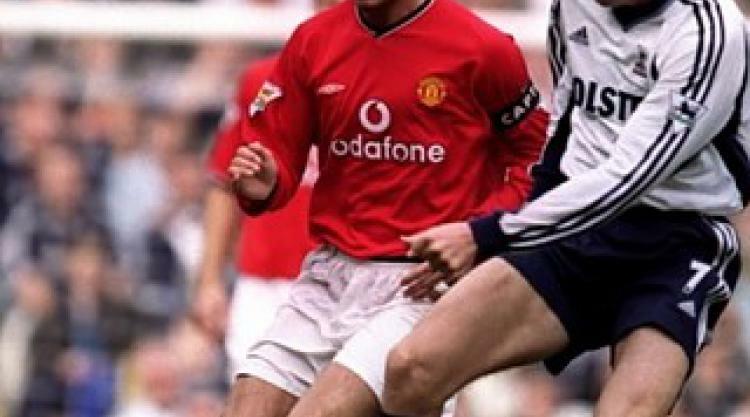 Les Ferdinand and Christian Ziege both scored to pile the misery on United who were reduced to speculative efforts by an outstanding Spurs. A rejuvenated Manchester United came out of the tunnel after half-time and started the comeback by scoring within a minute of the restart. Blanc pulled a second back for the visitors with a header from a Beckham corner, Tottenham who looked so assured in the first-half, were now looking nervous. Van Nistelrooy scored the third and the equaliser before Veron scored the winner with a strike past Sullivan. To finish off the comeback David Beckham scored with a shot from just inside the area to send the home fans into despair.